Nope, I was not in London for iKnit Fandango. Luckily, I have friends who were there and were kind enough to indulge my yearning for yarn (like I do not already have enough to last me two lifetimes!) and play yarn mule. So, thank you, Mina and Mel for bringing me back these lovelies. Okay, this was not from the market but I saw that Mina managed to get some of these when she posted on Instagram and I had to ask. I actually had four balls of these, two different colourways but someone started petting them and might have expressed desire to take them off my already overflowing stash. What can I say? I’m easy. And I love Lisa so much not to share the love. So she went home with two balls of another colourway. This is supposed to self-stripe in a Fair Isle colourway. I cannot wait to see how it works up! It looks like the balls are different colours, but the are the same dyelot. Maybe one is just wound up differently? This was a pre-order from The Yarn Tree. I have Mina to thank for this skein. She tagged me on Instagram when the dyer offered the pre-order and because she knows me too well. 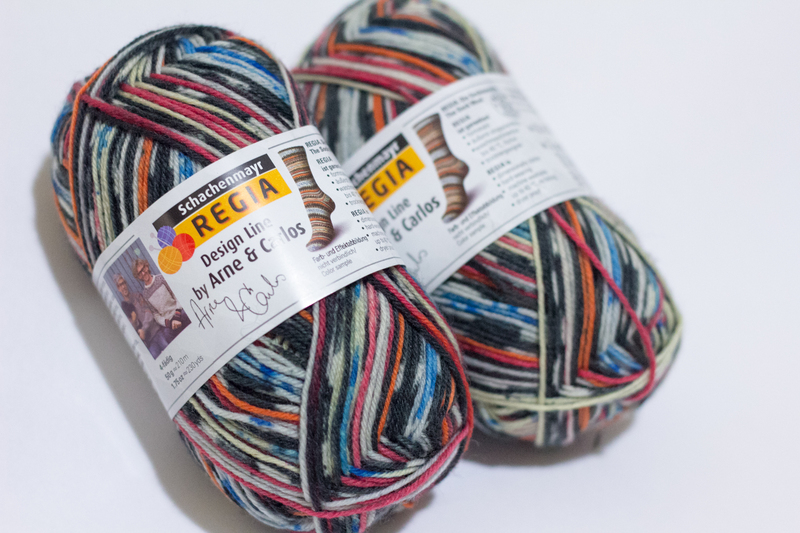 The name of the colourway is Vincent and The Doctor, and, Mina, knowing how much a fan of Doctor Who I am, knew I would be interested. 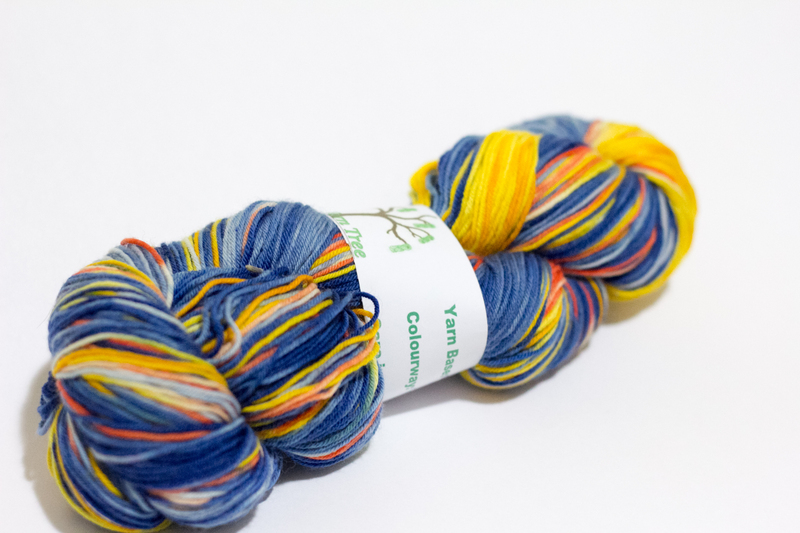 So I followed links, clicked here and there and voila, signed myself up for a skein of this beautiful colourway. It’s 75% merino, 25% nylon, 4-ply sock yarn, not sure how it knits up and what pattern to use for it yet, but I know it will be fantastic! 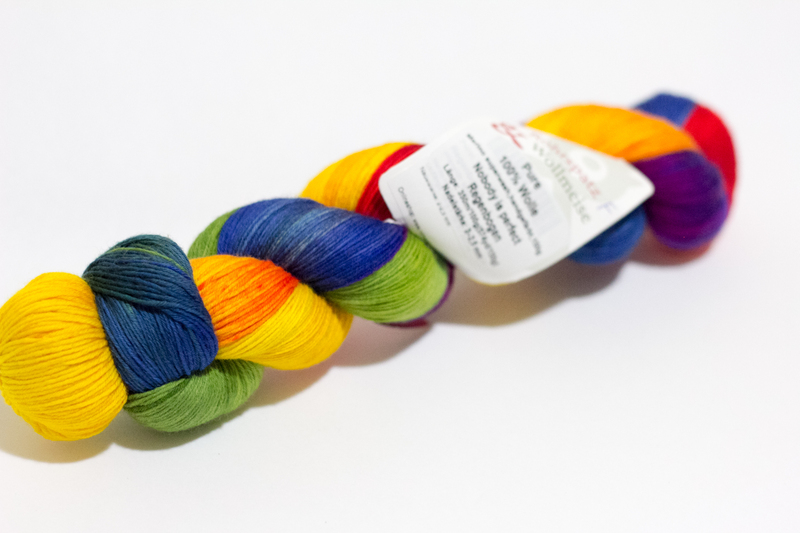 Now this skein is from iKnit Fandango! Mina chose this for me. This is Regenbogen in Pure. I asked her if she could pick up two skeins of Wollmeise Pure for me, different colours that I could knit up in stripes, and she made the decision for me. And I love her choices! The other skein, not pictured, is the Natural so nothing exciting to show you. I am now searching for a plain, striping top that I can knit up and have ready for cooler months in Dubai. Suggestions are welcome! Oh and I have to tell you that Mina also shared with me a bunch of lovely, heady dried Lothian lavender! That would surely not have passed customs check at the post office so thank you again Mel for bringing to back to Dubai for me. I am going to put them in smaller packets and place them in my yarn bins, the wardrobe and even the car. My closet smells heavenly already and they have only been there for an hour or so! Okay, enough from me. I realize I haven’t blogged anything in weeks. I do have stuff in draft but have not had time to finish them. I hope to fix that soon. Have a good week ahead!